Home News Politics ELECTION VIOLENCE TAKEN TO ANOTHER LEVEL AS THE SA ON YOUTH TO DELTA STATE GOV., NGOZI IJEI IS SHOT DEAD. ELECTION VIOLENCE TAKEN TO ANOTHER LEVEL AS THE SA ON YOUTH TO DELTA STATE GOV., NGOZI IJEI IS SHOT DEAD. 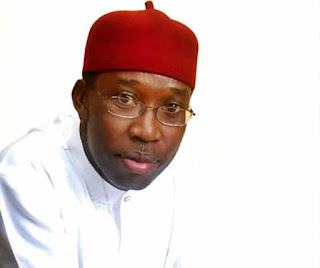 The Special Assistant to the Delta State Governor, Ifeanyi Okowa on Youth Affairs, simply identified Ngozi Ijei was shot dead in Ekpan, Uvwie local government area of the state last night, The Nation Newspaper reports. It was gathered that youths were mobilizing as at the time of this report to attack perceived enemies of the deceased and burn down their properties. Oboro is locked in a supremacy tussle with deposed chairman of the council, Mr. Henry Baro, who is the APC flag-bearer aiming to succeed Oboro in the lower chamber of the National Assembly. The governorship candidate of the APC, Mr. Great Ogboru, has a strong fellowship in the area, and in his 2003 failed contest with then-incumbent James Ibori, dozens of houses were burnt in Uvwie by supporters of the PDP and Ogbodu’s then Alliance Democracy.